I have been using H.A. Joint for a year now and I could not be more pleased with its effectiveness! I highly recommend this product. Have been using the H.A. Joint Formula for a couple of weeks and can already tell the difference. 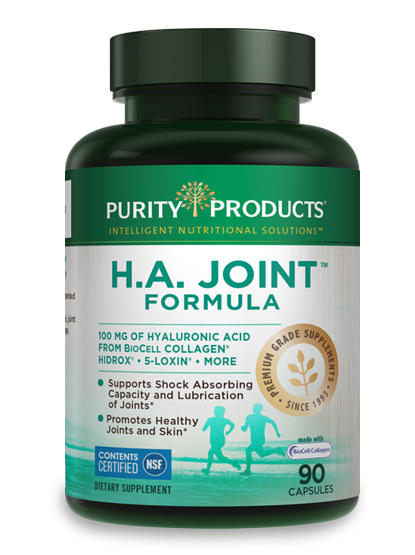 I have been using H A Joint Formula for a little over a month, and I would honestly recommend it to others! Great job Purity Products! Is Purity's H.A. Joint Formula™ safe and supported by science? What are the critical nutritional elements found in Purity's H.A. Formula™? Who should include Purity's H.A. 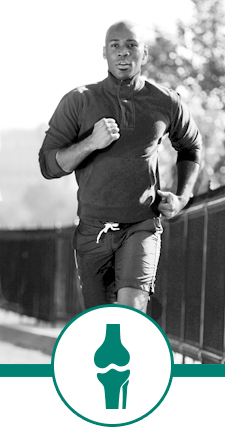 Joint Formula™ as part of the health maintenance program? BioCell Collagen® is a clinically researched, multi-patented nutraceutical ingredient that promotes active joints and younger looking skin. Medical professionals and nutritionists are calling it a new generation of "super ingredients." 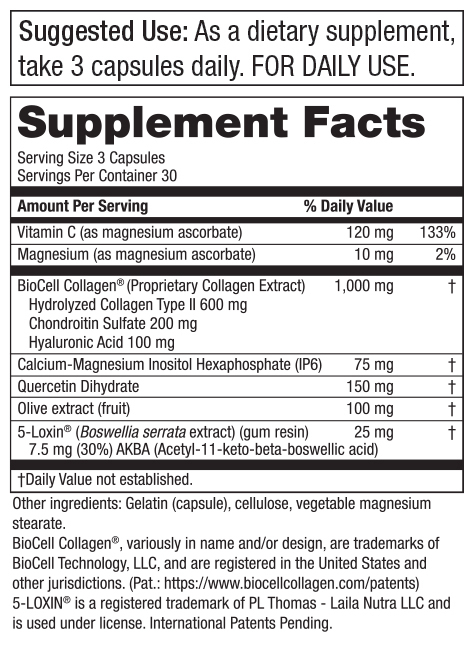 Unlike most nutraceutical ingredients, which provide one-dimensional support, BioCell Collagen® is actually a concentrated bioavailable and bioactive matrix of naturally occurring molecules that play a vital role in the body's ability to maintain healthy connective tissues, flexible joints, and youthful looking skin. * Together these elements provide multi-dimensional nutritional support that helps the body more effectively renew connective tissue health in targeted crucial areas such as joints and skin. 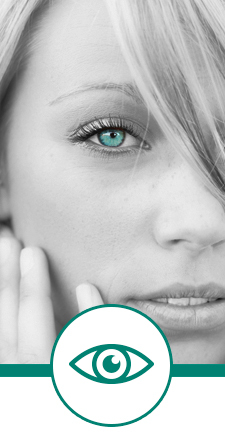 * BioCell Collagen® is made from a single source and utilizes a patented Bio-Optimized™ process that ensures rapid absorption. 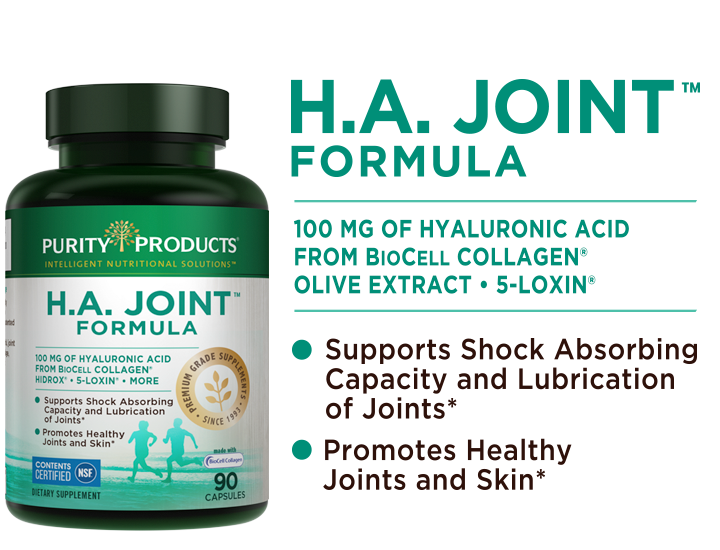 Is H.A Joint Formula™ similar to glucosamine? 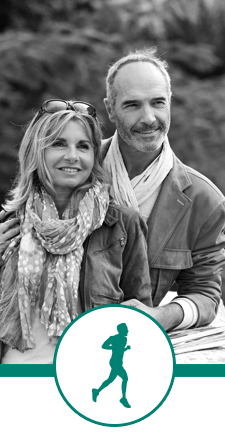 What is 5-LOXIN® and what makes it so special? 5-LOXIN® is a patent-pending compound which promotes joint comfort and mobility. * It also helps reduce the action of enzymes that break down cartilage, collagen and connective tissues. While a relatively new ingredient for joint health, it is steeped in the historic roots of the Boswellia serrata plant, used in traditional Indian medicine for centuries. The Boswellia tree has been used for thousands of years in traditional Ayurvedic medicine in India, and recent studies have shown that modern extracts may provide powerful benefits in promoting joint comfort and knee mobility. * Thus, 5-LOXIN® is a modern approach to traditional Indian herbal therapy, clinically tested for its effectiveness under strict modern standards. † - $4.95 shipping and handling fee applies. 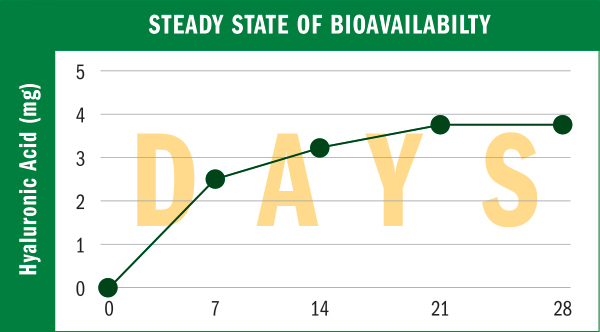 By accepting our exclusive Free bottle offer for HA Joint™ (30 day supply) you will be enrolled as a Super Saver. As a Super Saver, you will receive 3 bottles every 90 days at the discounted price of just $39.95 per bottle (27% off retail), plus $4.95 shipping and if applicable your state and local tax, charged to the payment method provided today. Each bottle is a 1-month supply. Your first delivery of 3 bottles will ship about 2 weeks after you receive your Trial bottle, so you don't miss a day. If you wish to change the frequency, date of shipment or number of bottles on Super Saver, you can sign up for online access or call Customer Care at 1-888-769-7873.